MALDA: Electronic voting machines (EVMs) are likely to be used for upcoming three-tier panchayet elections in the state. In a meeting with administrative officials of all districts recently, the top brass of state administrations discussed the pros and cons of using EVMs for holding the rural polls. West Bengal would be the third state in the country after Madhya Pradesh and Maharashtra to use EVMs for rural polls if the decision finally receives a nod from Nabanna. It has been learnt from sources in state panchayet and rural development departments that the final decision about using EVMs during panchayet elections in state is pending because of gigantic fund necessary for providing three EVMs in each booth. “Unlike parliamentary and rural polls a voter is supposed to cast three votes simultaneously to elect candidates for gram panchayet (GP), panchayet samity (PS) and zilla parishad (ZP). 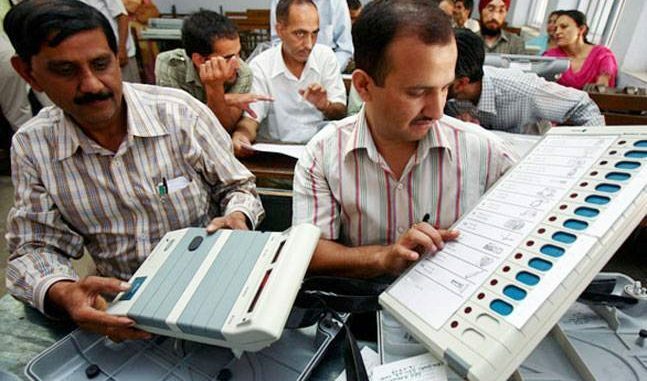 So three EVMs are to be kept in each of the booths although only one control-panel would be attached to all three EVMs,” said a senior official of panchayet department. “The entire cost of the panchayet elections is borne by the state government. So, EVMs can be used only if the state government decides to bear the larger expenses required for holding rural polls in the state with EVMs,” he said. But the advantages of using EVMs are also being considered by state administrations. “The biggest advantage is that the poll-result could be declared much earlier than before. Counting ballots manually is a hectic and time-consuming process. Hence, all aspects are being looked into before reaching a conclusion in this regard,” the panchayet official said. It has been further learnt from sources that the seat reservation-roster would be published on November 6. Nature of existing seats is likely to be changed in many cases. It is being anticipated that in Malda district alone 29 out of 38 elected ZP members cannot contest from their existing seats owing to the reservation factor. 13 key-post holders of Malda ZP including the sitting sabhadhipati Sarala Murmu and 16 other elected ZP members of different political parties may be deterred from contesting rural polls as their constituencies would be reserved otherwise. Those ZP members are now striving to find suitable alternative seats to retain their ZP membership. Similar consequence of reservation may be faced by many of the sitting elected GP and PS representatives also.